Like our resources? Make a donation! If you like these resources and want to support our on-going AROC process, please make a donation to CommunityWise! Click here to donate to AROC! 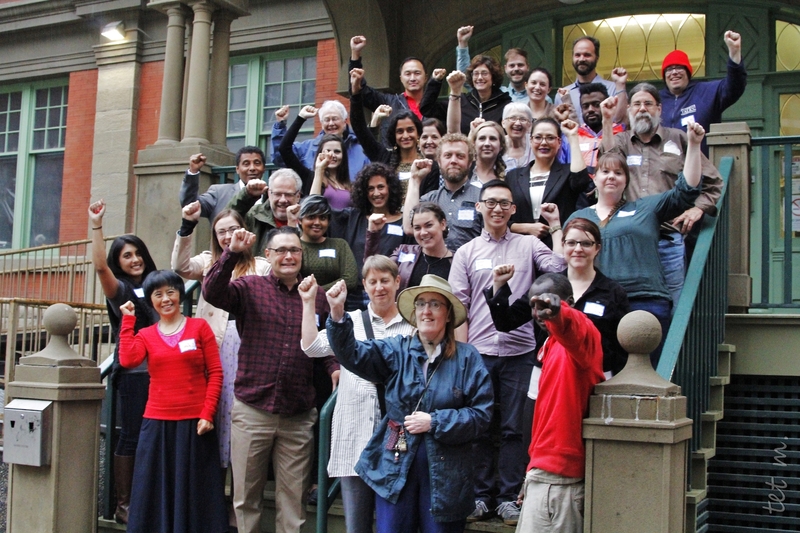 We have been undertaking Anti-Racist Organizational Change (AROC) at CommunityWise for three years now. During this time, we’ve worked through a consultative and emergent process to better understand and define organizational racism as well as develop and implement strategies to create greater racial equity in our organization. While the process of AROC and the goal of creating greater racial equity is a constant and evolving one, we’ve developed some tools and resources that shed light on the process we are undertaking and that may help others do the same. Note: These resources share some but not all of the challenges CommunityWise has faced, and they don’t necessarily reflect the difficulty we’ve experienced along the way. Anti-racism work is not as simple as applying resources “off the shelf”. It is a long-term commitment that requires a lot of self-reflection and learning. It also invites a great deal of discomfort. But it is only from this discomfort that change can actually occur. You are welcome to use and share our resources as per the Creative Commons Attribution-ShareAlike 4.0 International License. In our first resource booklet, we share ideas, group activities, sample documents, frameworks, policy tools and other resources we have both used and developed in the first phase of AROC at CommunityWise. *NEW* Our second resource booklet is a companion to the first and shares tools and resources from our second phase of AROC, including our emerging Theory of Change, stories that surfaced through evaluation, and the several ways we deepened our practice of anti-racism. The second resource booklet was developed in partnership with the Alberta Association of Immigrant Serving Agencies (AAISA). *NEW* We developed a webinar to support the understanding and use of the content found in the first and second resource booklets. This webinar was developed in partnership with the Alberta Association of Immigrant Serving Agencies (AAISA). We developed this short questionnaire—just five questions—to get people thinking about how well their organization is addressing organizational racism. There’s a lot more to it than these questions suggest, so we’ve included links to more comprehensive assessments, as well as definitions of the words diversity, inclusion, equity, organizational racism, and anti-racism. If your organization is interested in addressing organizational racism and becoming more racially equitable, anti-racism training is a critical part of the process. The AROC Advisory Group offers trainings to organizations that would like to take this first step. If you would like to invite the group to train your team, please contact equity@communitywise.net for more information. This podcast discusses racism and anti-racism both inside and outside the context of organizations. It is produced and hosted by Jacquie Gallos Aquines and Mel Vee. In the first episode, Jacquie and Mel Vee speak with Thulasy Lettner, Equity Framework Coordinator at CommunityWise Resource Centre about CommunityWises’s Anti-Racist Organizational Change (AROC) process and creating equitable practices in the non-profit sector in Calgary, Alberta, Canada, Treaty 7 territory. *NEW* This report outlines the findings from the Most Significant Change activity that was held with the AROC Advisory Group and Working Group in July 2018. The focus of this evaluation activity was to surface the learning and change that has occurred for individuals since they began their participation in one or both of these groups.